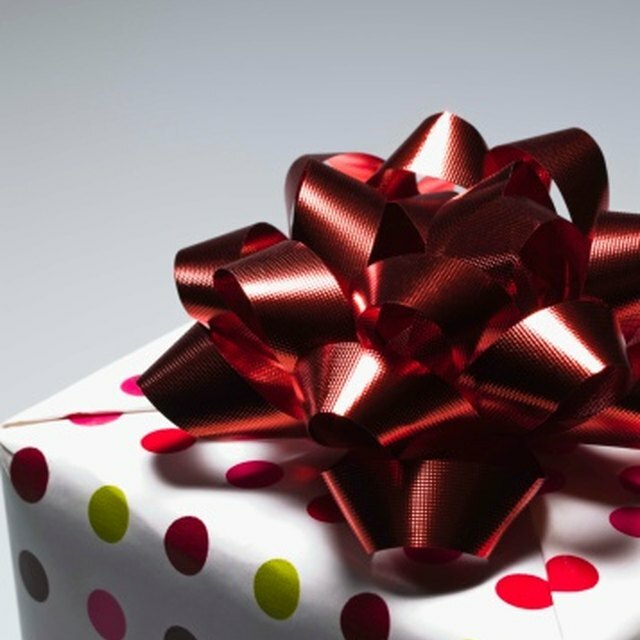 The perfect gift is one that makes the recipient smile, and a number of gifts will do just that. Some fun gifts, ideal for both men and women, come in the form of personalized dartboards, funky lamps or candles, or hilarious towels that can be used on the beach or in the kitchen. A wide array of gifts can be customized with a personal photo. Find a photo or series of photos that is special to the recipient. Have it printed on a dartboard, mouse pad, coffee mug and, of course, a T-shirt. Or print calendars, journals, memo pads, baby bibs and key chains. Several websites offer the service, or find a local company that can print the items. Funky lamps and candles are fun, generally inexpensive, and not difficult to find. There are many shapes and colors of retro lava lamps. Or consider a lamp shaped like a martini glass, a gun, a Chinese take-out container or even a nightlight in the shape of a knight. Candles are also available in a generous array of shapes, colors and styles, ranging from a 16-inch parrot to a skull with treasures inside that can be retrieved only once you melt the candle. You may think towels are bland, but they can actually be fun, to give and to use if you get one that has an amusing message, illustration or theme. Beach towels can portray the chalk outline drawing of a crime scene, for example. Or get a creative array of dish or hand towels. Souvenir towels can have the recipient's favorite town, from Hollywood to Paris. Or you can get towels with retro ads with silly captions, such as, "If it fits in a toaster, I can cook it;" or, "I only have a kitchen because it came with the house." Many women can't get enough dishtowels and many men don't have any all, so both genders will likely see them as a welcome gift.